Cylindrical trommel screen is designed with the integration of many features of other screens. Reliable as it is, it is broadly applied in minerals classification for semi-auto and auto grinding machines and ball mills. 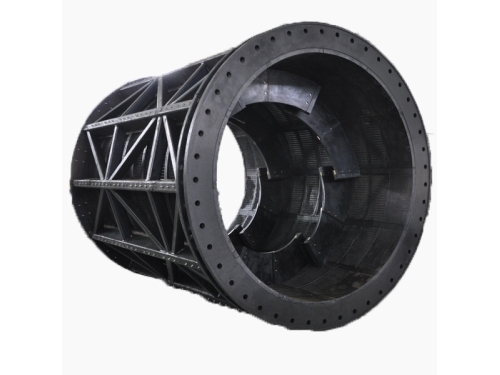 This high efficiency sieve is successfully used in a variety of metal mine mineral processing systems. 1. Cylindrical trommel screen is characterized by simple structure, small space occupation and easy maintenance. 2. It need not be configured with drive device and power source. 3. The screen panel of cylindrical trommel screen adopts mosaic installation, which is easy to dismantle. And it adopts stainless steel and can be used for a long time. 1. Cylindrical trommel screen should be packaged in iron cases. 2. Available transport methods are by sea and land transportation. 2. Cylindrical trommel screen should be delivered within 30 to 60 days after receiving down payment. On-site installation and maintenance will be provided on the condition that purchase orders of high efficiency sieves reach a certain amount. Jiangxi Naipu Company is a professional manufacturer specializing in slurry pumps, cylindrical trommel screen, vibrating screen panels and hydrocylones. The company has established close technological relationships with domestic famous metallurgical designing institutes and universities. And we have a professional developing and researching team to create new products. The company sells products to Russia, Australia, South Africa, and so on. For details, please visit our website or contact us directly.